TOPEKA, Kan. (May 21, 2014) – With 41 NHRA event titles and more than 500 round wins under his belt, there aren’t too many drivers with more experience than Ron Capps. Some drivers may fret about losing a day of preparation before a race but not Capps. 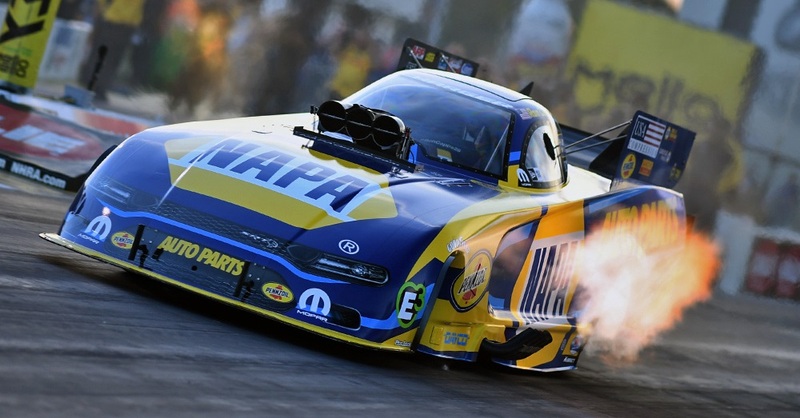 After Mother Nature washed out Sunday’s elimination rounds of the Southern Nationals near NAPA AUTO PARTS headquarters in Atlanta, the NHRA teams were forced to race on Monday. 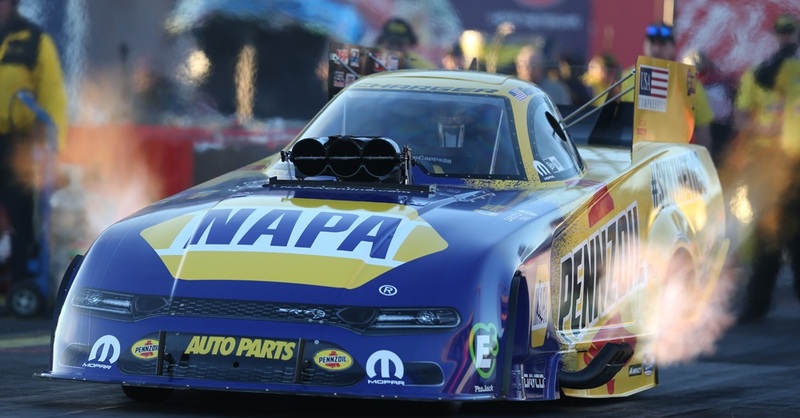 Capps, who has moved up one spot to fourth in the NHRA Mello Yello Funny Car standings, drove his NAPA Dodge Charger R/T to a top-three finish on Monday at Atlanta Dragway. 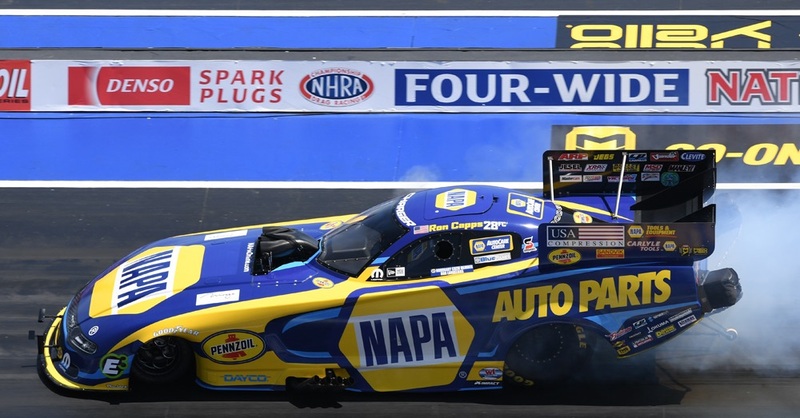 The “Monday Nationals” means his team will have to tap into their Carlyle Tools bag of NAPA Know How as they have one less day to prepare for this weekend’s Memorial Day affair, the NHRA Kansas Nationals at Heartland Park Topeka. 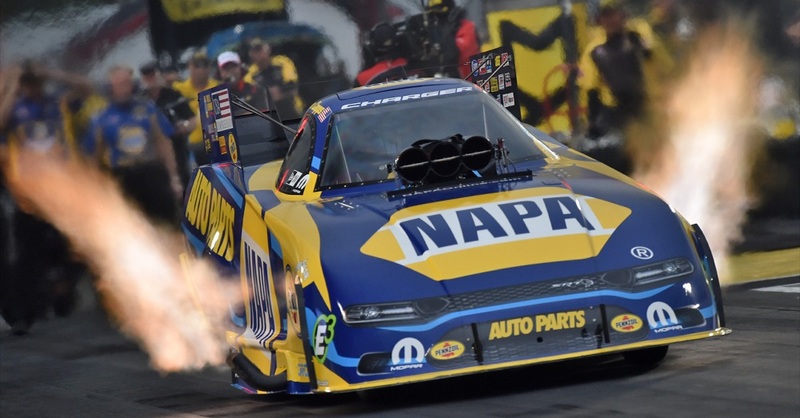 “Some teams might struggle with losing a day of preparation because we raced in Atlanta on Monday, but not this NAPA AUTO PARTS team,” Ron said. “We have the best crew guys in the business. With the equipment that we have and the Carlyle Tools that Don (Schumacher) gives us, it’s not a big deal. 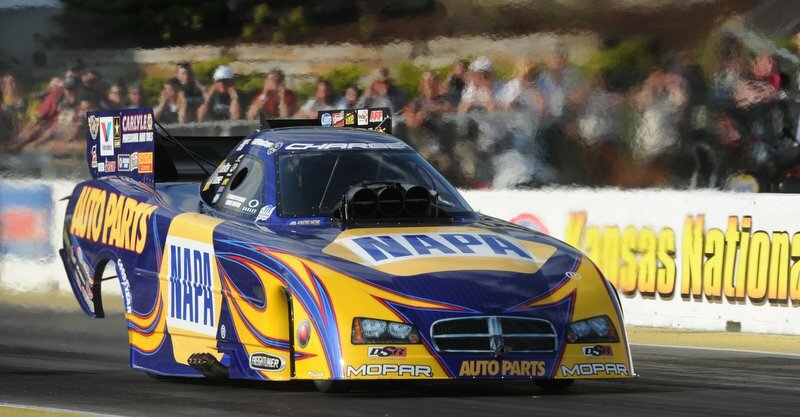 With his track record at Heartland Park, it shouldn’t affect Capps’ crew one bit. Topeka is one of the better tracks for the NAPA driver. The veteran racer has been to the final round at Heartland Park five times with three Wally trophies that read “Topeka” sitting on his mantle at his home in Carlsbad, Calif.